You are currently viewing the SERIES II (Series 2) or S2 Sub-Forums. Can I POST a NEW Thread Topic Here?? 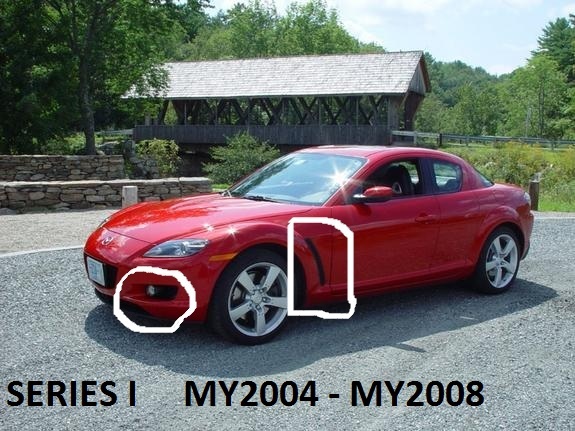 YES...IF you own or want Series II RX-8 Information or Help. A Series II RX-8 is one made from Mid 2008 onwards...also known as Model Year 09 or MY09. and the Series 2 (MY2009, 2010, 2011).. SO why different Sub Forums??? Mazda changed-updated over 400 different Parts for MY09 (S2), some Mechanical and some Interior- Exterior. These NEW parts are NOT interchangeable or fit on the Series 1 (S1) 2003-2008 Model Years. Therefore we have “Separate” RX-8 Club Sub Forums and THREADS for these Two different Series RX-8 Models. Then Post your questions or new threads in the Correct Sub Forums for your MY. How do I know which Series RX-8 I own???. All Series 1’s are Model Years 2004-2008 which includes all “Shinka” and “40th Anniversary” Models. A Series 1 also have ROUND Glass Front Fog Lights (if fitted). A Series 1 also uses the RENESIS I 13B Rotary Engine. ALL Series 2’s are Model Years 2009-2011 which includes all ‘R3’ (a GT in Australia) Models. A Series 2 also have Rectangle or Square Glass Front Fog Lights (if fitted). A Series 2 also uses the RENESIS II 13B Rotary Engine which is not an interchangeable engine with Series 1's or visa versa. 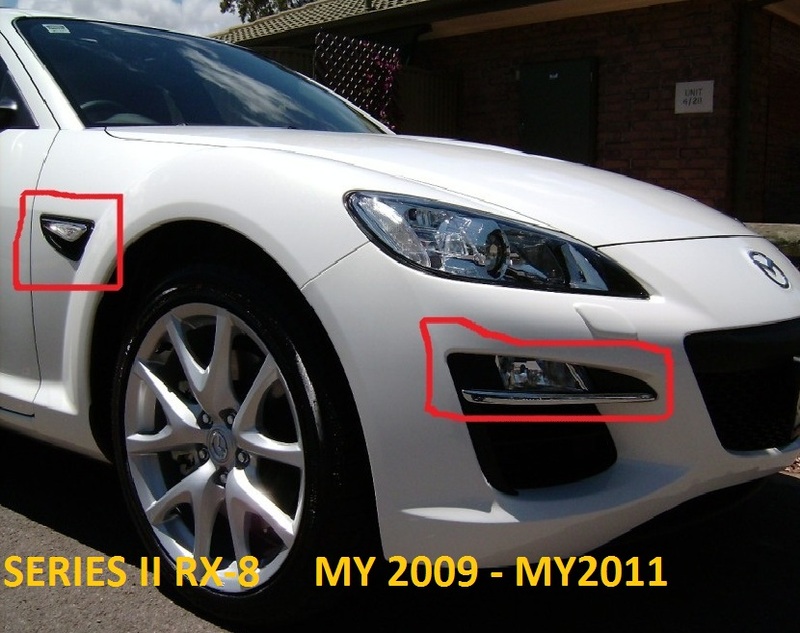 FINALLY...How do I really help other Forum Members to Identify what Model Year RX-8 I own??? The easiest and convenient way is to include this information in your User SIGNATURE. 1. Click on “UserCP” (Top Left of Forum Screen). 2. Then Click on “Edit Signature” (Left Of Screen Side). 3. In the “Your Signature” box simply add your Model Year...Example ... '2010 R3 RX-8', or, '2005 Shinka RX-8', or '2004 Black Automatic RX-8'. 4. Then Click “SAVE SIGNATURE” . PS: If you own a Series 1 (S1) RX-8 and want help or advice PLEASE Post in the OTHER Sub Forums for SERIES 1's...not here. Remember...The "SEARCH" function (Top Right) is your Friend....Try it BEFORE Posting. See this link on HOW TO Search..
Last edited by ASH8; 02-05-2012 at 04:10 PM. Quick Reply: **STOP** PLEASE READ Before Posting...What is a SERIES II RX-8 ? ?